THE MUSHROOM CLUB is a filmmaker's journey to Hiroshima, sixty years after the bomb. Steven Okazaki, who first visited the city in 1980, takes a very personal look at Hiroshima — the place, the people, the historical event, the idea. He gathers a compelling collection of everyday images — a class photo, a spool of thread, a handful of buttons — and the powerful stories that come with them. The film features several hibakusha (atomic bomb survivors). The oldest was a 25-year-old newlywed and the youngest weren't yet born when the atomic bomb was dropped on August 6, 1945. On that day, all of their lives were unalterably changed, beyond what most of us can imagine. 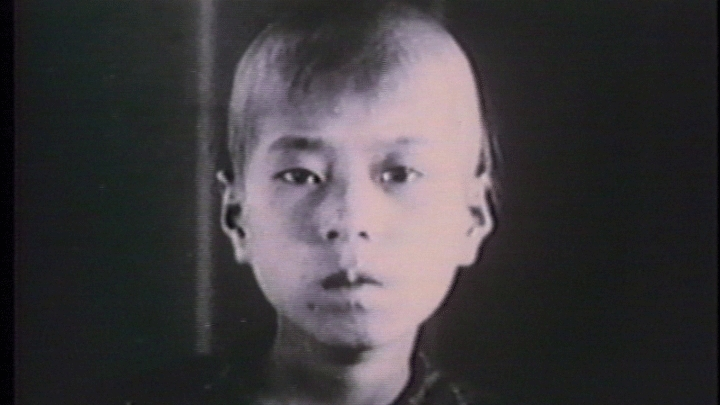 Keiji Nakazawa, then six years old, lost his father, brother and sister in the bombing. He survived by sheer luck, bending down to pick up a rock. 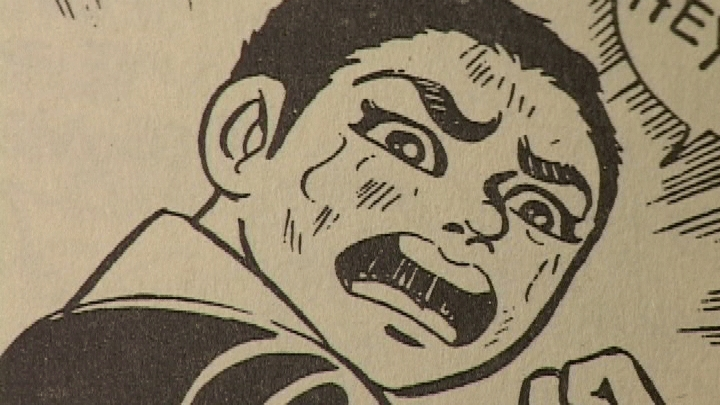 He dedicated his life to telling his family's story in comic book form in the two-thousand page manga series "Barefoot Gen."
Yoshiko Kajiyama, four years old then, clutches a spool of red thread, the only thing she has to remember her mother by. Orphaned by the bomb, Kajiyama and her three-year-old brother went into the hills above the city and ate the leaves off of trees to survive. 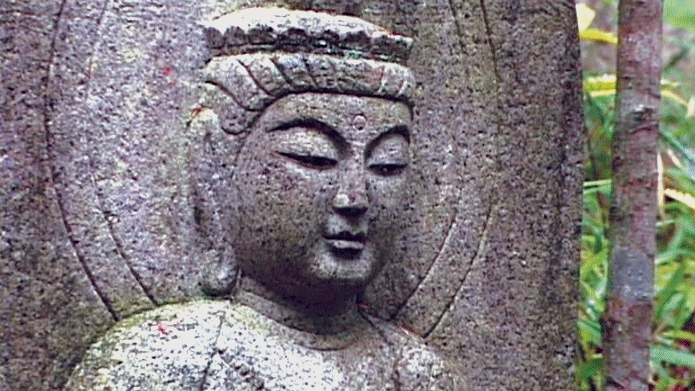 Yuriko Hatanaka was three months in utero when her mother witnessed the bomb. She is now 59 years old but has the mental capacity of a two year old. She was diagnosed as microcephalic, also known as small-head syndrome, but it took thirty years for Japanese and American scientists to admit to her parents that her mental and physical disabilities are caused by radiation exposure. Yuriko and her father are members of the Kinoko Kai or the Mushroom Club, a support group of severely-disabled hibakusha and their parents. "Hiroshima is full of remarkable people and stories," says Okazaki who has visited Hiroshima numerous times over the past twenty-five years. He decided to make his film in 1995 when the fiftieth anniversary of the bombing came and went with minimal media coverage. "In Hiroshima, there was a lot of anticipation around the fiftieth anniversary. People thought that the Hiroshima story would finally be heard around the world. Then it came and nothing happened. The American news programs said something like 'today is the fiftieth anniversary' and that was it. The people in Hiroshima, the peace movement in Japan, went kind of numb after that and still hasn't recovered," said Okazaki. "The Enola Gay, the airplane that dropped the bomb is on exhibit in the new Smithsonian National Air and Space Museum and there is no mention of radiation or of people dying, because it's still too controversial to admit to the extraordinary human suffering caused by one bomb. It's a lesson on how history is written."